Ever since Thursday left the label and Taking Back Sunday have endured internal strife, Victory Records have been searching for the next huge crossover success. The Hurt Process, a sextet hailing from the UK, may just be that band, as Drive By Monologue, the outfit's debut 10-track offering, combines the sounds of today with the fresh musical perspective that allows this group to fit on any bill. While the twin vocal assault, one clean and one screamo, coupled with the dynamics of emo employed on tracks such as "This Piece" may on paper seem trite, when brought to life, the vigor displayed on "Opinion" and "Last Goodbye" proves that these guys are the real deal. 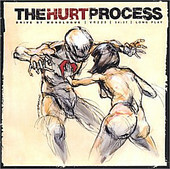 With a healthy smattering of Thursday, Lostprophets, and Grade in tow, The Hurt Process share the aforementioned band's traits by presenting the ability to get heavy, get emotional, but most of all, get off on being able to make it all work in a cohesive manner. A supercharged melodic ride that fans of anything on the Warped Tour will surely embrace, The Hurt Process should be a band you'll be hearing more from in the future.